In the DXRacer Boss Series chair review, we take a look at the best and worst features of this chair and what are the benefits and disadvantages of owning and using one. This is a full-length office chair with a lot of interesting features. This chair was originally designed to enhance the user’s gaming experience, and this can be seen in the modern, racecar-like design. The chair has a higher backrest than other models available on the market, and this feature will provide sufficient support for your whole spinal column, from the pelvis up to the neck. 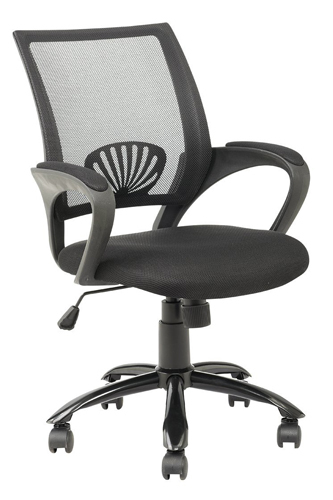 The chair has a stable five-point base and a heavy-duty gas spring which allows the user to adjust the height of the seat to meet his/her preferences and the height of their desk. The hydraulic unit used for this chair is made in Germany and exceeds all the international standards currently used in this industry. The armrests can be adjusted in 4 ways. You can slide them back and forward or inside and out, you can raise or lower them, or you can rotate them in and out. This will ensure that no matter how you like to hold your hands while writing or typing, you will always benefit from the right amount of support for your arms. This high-end ergonomic chair is really good looking. The racecar design makes it a fresh and unique appearance in a home office or workplace, and the chair is very large and comfortable. The chair is really easy to assemble, but due to the heavy weight of the components, it might be better to have someone helping you during the assembling process. The instructions are clear and the manual comes with accurate pictures, so it’s very easy to understand and follow. All the bolts and washers are pre-installed in their spots, but some may slide and drop during the transport. The aluminum base of the chair is wide to provide increased stability, and the casters are large enough to ensure you can roll the chair from one place to another easily, despite the chair’s high weight. This increased stability will help you when you want to tilt back, making sure the center of the weight won’t tilt the base one way or another. 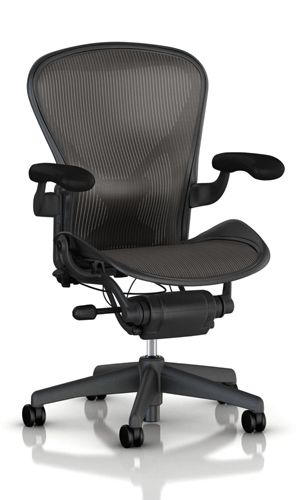 The back of the chair is large and high, providing back support for your entire spine, including your neck. The backrest can be adjusted so you’ll be able to find a comfortable position. 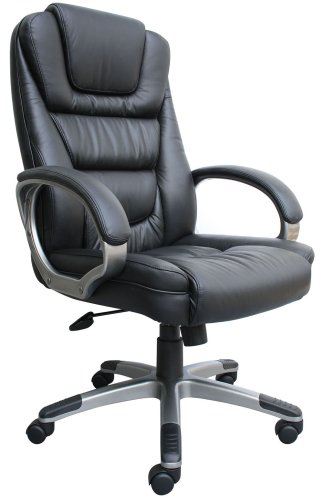 The headrest is designed on the backrest, and it provides a good support for your neck. 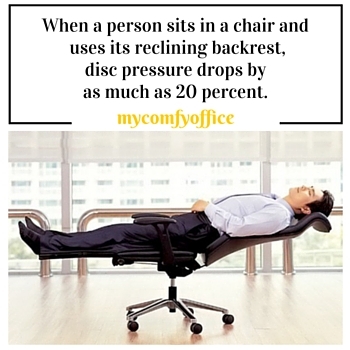 A lumbar cushion is included with the chair. The cushion is large and comfortable, and you can secure it by pulling out the backrest and sliding the Velcro strap over the cushion to keep it in place. The adjustable armrests will provide the adequate amount of support either if you type on your office desk or you’re using another gadget like a smartphone, console controller, or tablet. No matter how you like holding your arms, you can adjust the armrests to provide the necessary support. 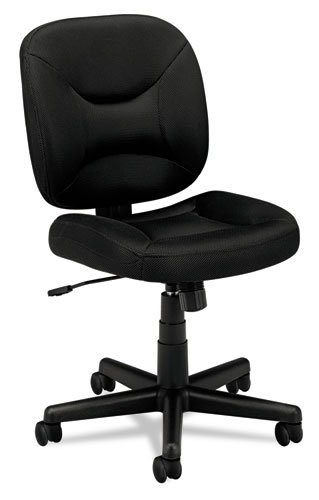 This high-end office chair was designed to be suitable for a large variety of people. It can be used with great results by people who spend a lot of time at their office, but on the other hand, the modern and stylish design makes it a perfect choice for teenagers or other gamers who spend a lot of time in a sitting position. This chair will improve their posture while providing a comfortable experience. This model is easy to assemble. Most of the screws and washers are pre-installed in their spots, and the instructions are clear enough to follow with ease. 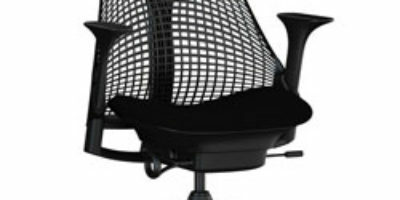 Check out our list of the absolute best office chairs for back pain right now. 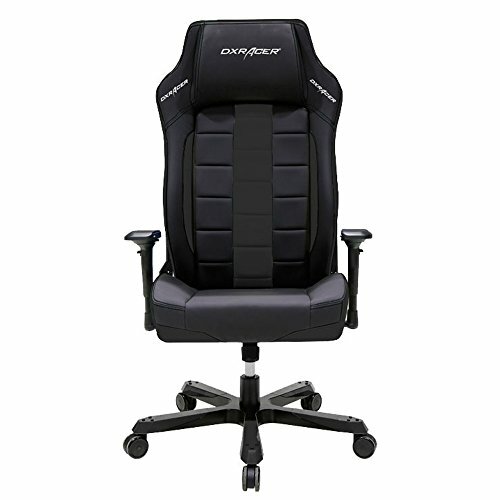 You could see from this DXRacer Boss Series chair review that the chair is indeed beautifully designed and it’s very effective. The high and large backrest will provide the necessary support for your whole spine, from pelvis to neck, and the additional lumbar cushion will make maintaining a good posture a comfortable experience. The adjustable armrest will provide sufficient support either if you work at a desk or hold a console controller.